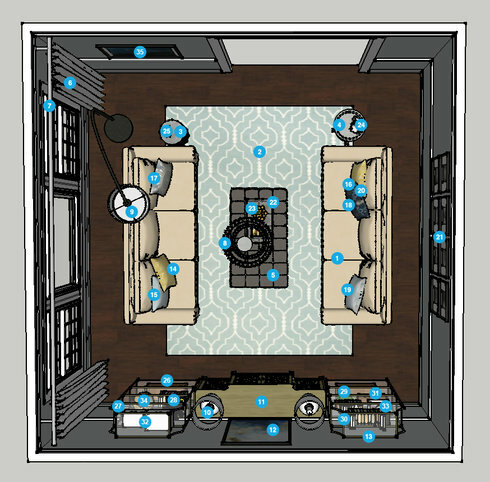 I would like help fully decorating my living room. 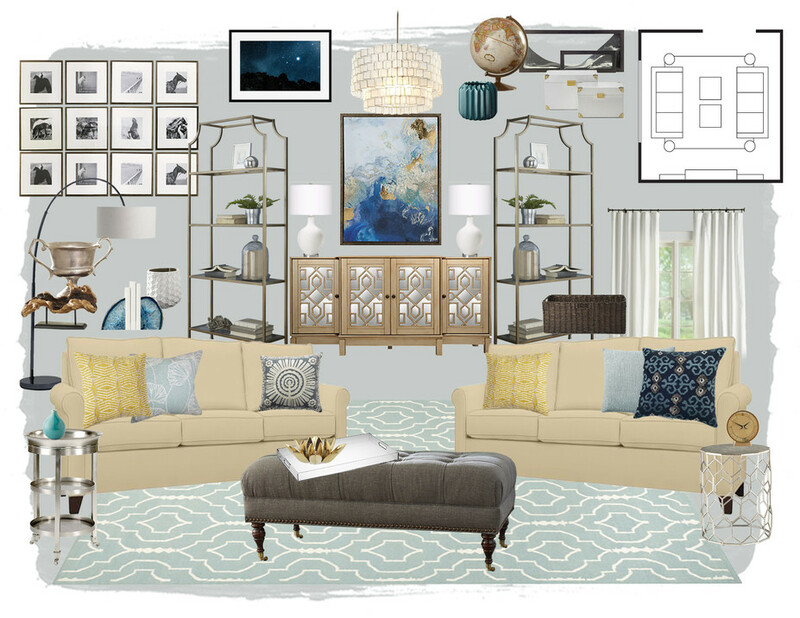 We're looking for furniture, decor and light fixture suggestions for the living room. It is currently empty and we're hoping to keep the paint color, if possible. I like the idea of using neutral sofas/seating and adding pops of color with pillows, curtains etc. We want to keep the paint if possible. In order to create cohesion between this space and the dining room across the hall, I'd recommend using the same color you currently have on the upper half of the walls, which picks up the lighter blues from the dining room. I'd suggest repainting the lower half to match the upper, which will allow the walls to become the backdrop to the furnishings and accessories. I've chosen a wall color that is similar to what you already have, however, it won't be the same. I'd recommend using whatever brand and color of paint is currently in the space.